Giveaway: Win M. Night Shyamalan's 'Glass' On Bluray/DVD! 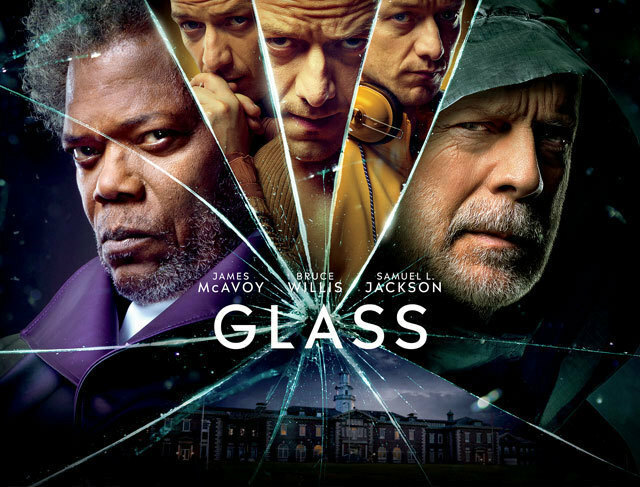 We're happy to offer our readers the chance to win a copy of M. Night Shyamalan's Glass on Bluray/DVD! The culmination of Shyamalan's epic trilogy that began with Unbreakable and Split, the film stars Bruce Willis, Samuel L. Jackson, James McAvoy, Anya Taylor-Joy, and Sarah Paulson. SYNOPSIS: GLASS features “Shyamalan’s eccentric, intimately scaled superhero universe” (Manohla Dargis, The New York Times), while offering a closer look at the world of the Elijah Price, also known as Mr. Glass (Jackson), David Dunn (Willis), and Kevin Wendell Crumb (McAvoy) as they experience a series of escalating encounters as they escape from an asylum and embark on a thrilling battle of good versus evil. To enter, send an email to punchdrunktrav@gmail.com with your full name, mailing address, and favorite M. Night Shyamalan movie. Please include "GLASS Prize Giveaway" in the subject line. Five winners will be selected on Monday, April 15th and notified by email. Good luck! Glass is available now on digital, and arrives on Bluray, DVD, 4K Ultra HD, and VOD on April 16th.